Ask a spectator to hold out their hand and make a closed fist. 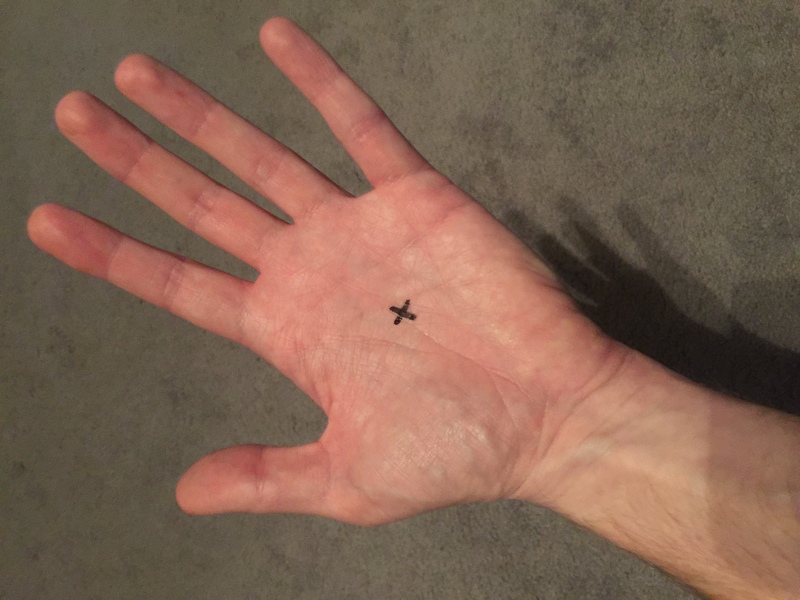 Pull out a black Sharpie marker and draw an ‘X’ on the center of your palm and close it into a fist. 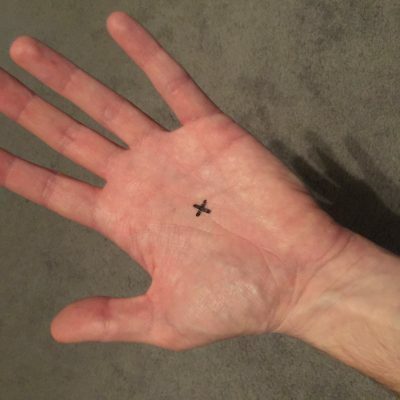 Now without any rubbing, erasing or funny business, you slowly open your hand and reveal your X is COMPLETELY GONE. Now ask the spectator to open their hand – THE X IS ON THEIR PALM! Ask them to try to rub away the X – they can’t! It’s permanent ink! Tell them not to worry though – it’s safe and nontoxic and can be washed away easily with soap and water. The secret behind X Factor is diabolically clever, and perhaps more importantly, practical. Its always inked and ready to go. There is nothing you need to make or prepare beforehand – just throw the pen in your pocket and you can perform it all night long. Because there’s no difficult sleights, you’ll sail through the routine. You’re so far ahead the spectators will never remember you coming near them or even touching them. The result is a unique magic effect that’s self-contained, has NO reset, and can be performed surrounded. Its a table hopper’s dream.